The Farnham Castle Intercultural Training head office is situated in Farnham Castle, Surrey, GU9 0AG, UK. 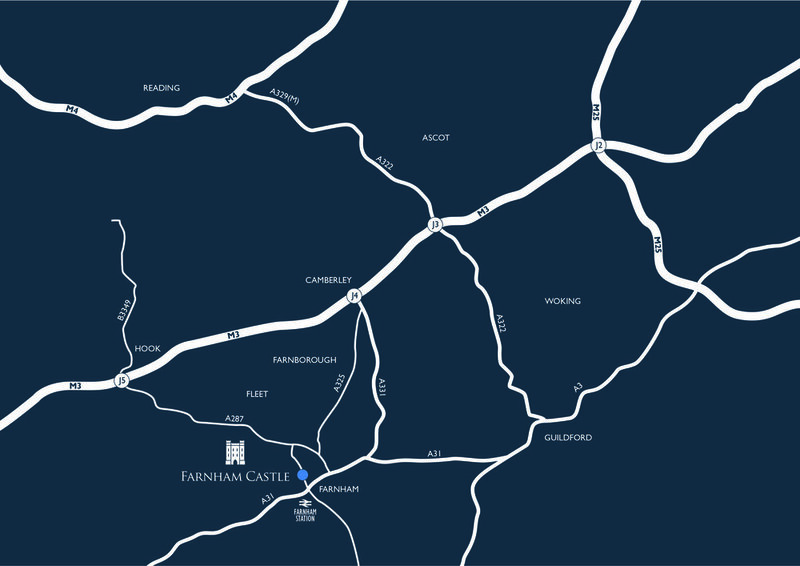 Just an hour from London, on the Surrey and Hampshire border, Farnham Castle is conveniently located and easy to reach. Situated just off the A31 and A325 and ten miles south of the M3 motorway (Junction 4), there is easy access to the A3, M25 and national motorway network.